As a cloud storage business, you know firsthand the importance of a strong SEO strategy. With countless businesses switching from physical file storage and onsite data storage solutions to the cloud, it can sometimes be tough to keep up with the competition. You need to know how to drive traffic to your website in a way that will help you to increase conversions quickly. In this post, we’ll share some of our most valuable SEO solutions with you. Learn how things like rethinking the definition of “local” and guest posting on popular cloud hosting industry websites can help you to rise in the search engine rankings. You may be able to store your client’s files in the cloud, but that doesn’t mean that you can ignore what’s happening in here on Earth. Especially if you’re looking to increase traffic to a website, you already know that making an impact on your local community is an important place to start. But in today’s world, local SEO is no longer enough. Now, it’s about taking things to the next level — by getting hyperlocal. In short, instead of name-dropping your city or state in your location-based keywords? You should reference the neighborhood you’re located within, the street you’re on, and even nearby local landmarks. This will help you to connect with people who are already in your area and looking for things close to them. It’s especially helpful for companies who are looking to increase mobile traffic to their website. As a cloud storage company, we know that you’re an expert in all things related to security, data backups, and even how to help clients to scale their storage needs. And while your clients certainly benefit from your knowledge? Why not use your expertise as a lead generation tactic, as well? Think about some of the most reputable and popular sites in the cloud storage industry. Consider popular digital trends journals, technology websites, and even those that give industry news. Then, write articles for those websites. This is a great way to get more traffic to your website because you’re putting your content in front of people who you know are already interested in what you have to say. Plus, you’ll also have the opportunity to interact with your readers directly in the comments section underneath your article. It’s not just about building goodwill — it’s also a smart SEO tactic. Include a link to your blog in your comments signature, and watch your traffic numbers soar. Another important step you need to take when learning how to bring traffic to your site? Make sure that you’ve thought about getting into video marketing. First of all, the majority of today’s consumers would rather watch a video about a product or service than read a lengthy article. However, video marketing does much more than make it more convenient for your target to interact with your brand. Remember that YouTube is now the second most popular search engine in the world. This means that, in addition to staying up to date with what’s going on with Google’s Algorithm, you also need to know how to properly optimize your video content for SEO. This means choosing the right category and title for your video, including keywords in your video description, and even selecting an interesting thumbnail image. Just as with written content, you’ll have tons of options when it comes to the formats of your videos. You could choose to do a question-and-answer video, a product tutorial, or even explain the history of your company. Remember that, at the end of the day, one of the most effective SEO solutions is creating quality content in the first place. So, don’t scrimp on lighting design and professional editing services for your video content. 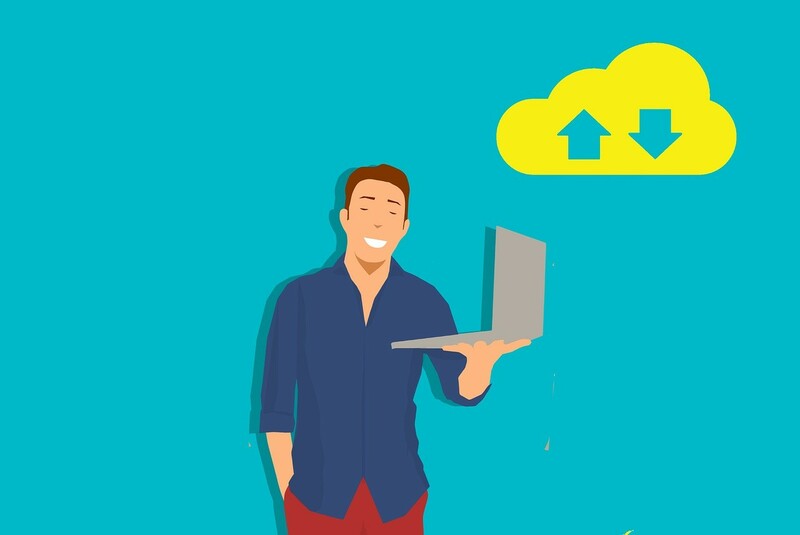 In order to learn how to increase traffic to your cloud storage business’s website, you need to focus on the details. Instead, ask yourself how quickly your site loads on multiple mobile devices (for example, an Android phone vs. a Mac tablet.) Decide whether it makes more sense for you to create a mobile version of your website, or if you should create an app instead? The same goes with your website speed. Before you go deleting important website content or photographs on your homepage that you know your target market would respond to? Think about what other things, like an excessive number of plugins or autoplay loading features, might be causing your website to slow down. In the world of SEO solutions, details can make or break your entire ranking factor. When in doubt, consider working with a professional SEO agency to ensure that you’re always a few steps ahead of the competition. We hope that this post has helped you to better understand some of the most important SEO solutions that you might not have thought about before. Remember to try new forms of content, (like video marketing) focus on the details, and look to hyperlocalized your content whenever possible. Of course, the tips on this list shouldn’t be the only things that you do to get more traffic to your website. Looking for additional advice about how to connect with your target market? Want to understand which social media platform you should focus your efforts on? For more SEO solutions you can’t afford to ignore, keep checking back with our blog. Thank you for the article. I think Guest Posting is a good idea. People can out-source that if they do not have time to do that.